Munich is all atwitter about a new concert hall, yes or no and where and when. Or how or whether and when to re-do the Philharmonic hall. How couldn’t Munich have a proper hall, after all, it’s ‘the city of music’, is the underlying tenor of most stories on the subject. That’s fair enough; there probably isn’t another city that size with as many, as great orchestras, as fine conductors (pace Thielemann’s departure) and the opera is, depending on your predilections, the best there is, or thereabouts. But chamber music, the true heart of a musical city (or so I should like to think), isn’t a strong suit at all. There happens more at Wigmore Hall in a quarter season than in all of Munich, any given year. Audiences are old, which is not a problem in itself, but they don’t seem to get replenished. There is no one strong presenter of chamber music, nor a central place of coordination allowing for an overview and purchase of tickets, and worst of all: there’s even less a suitable hall for chamber music in Munich than there is a good grand orchestral hall. If only Munich had something like the Coolidge Auditorium of the Library of Congress or the lamentably un-utilized Frances and Armand Hammer Auditorium of the Corcoran Gallery or the just-about-perfect and beautiful Mozart-Saal of the Wiener Konzerthaus. It would be a sensationally missed opportunity if, assuming that Munich will get a new, proper concert hall, after all, the builders neglected to put one or two truly marvelous smaller spaces into the building as well. That’s by way of pre(r)amble to another review of chamber music in the Munich countryside, after previous installments had taken me to the towns of Gauting (Quatuor Ébène, Boulanger Piano Trio), Seefeld (Weinberg Recital), and the Bavarian Easter Lakes at Iffeldorf (Kuss Quartet). This time the goal was the Pacifica Quartet, which brought me to Polling, an out-of-the-way little southern Bavarian town of 3000-some souls (looks smaller) between the southern tip of the Ammersee and the Staffelsee. What Polling has going for it is an elaborate former monastery: specifically the abbey’s library. When I saw the program of Mendelssohn (op.80), Shostakovich (No.9, easier on the ears than some other DSCH quartets), and Beethoven (op.95/2) I thought it was an appeal to the expected conservative rural tastes of steady, unadventurous Bavarian types. The raucous applause after the Shostakovich, just shy of whistling and hollering, taught me otherwise. 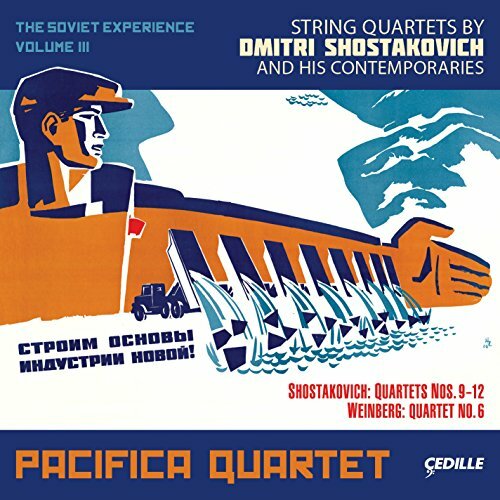 Incidentally (or not), the Shostakovich was also the best performance of the night, from the wonderful false, mild sweetness of the beginning via the ensuing spunkiness (as if made by wicked-minded mice, tip-toeing about the score) to the aggressive rattatataTA-rattatataTA rhythmic drive of the finale. 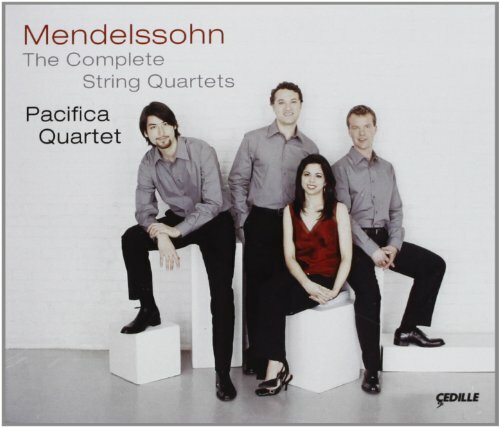 Their opening performance of op.80, Mendelssohn’s last string quartet, gave us a Felix M.B. rich in contrasts, with plenty delicacy. Speedy and eventually profound, with a fourth movement that overtaxed my attention, it was ultimately not a particularly dark, but certainly a graceful reading. The Beethoven-conclusion, “Razumovsky 2”, was a homogenous performance that made up with vigor in the finale for the Adagio’s running out of steam. If flies had to be found in the fine ointment, it was the first violin’s oft-occurring pressing, which sounded as though she might be a little bit off or the tone pinched. At these times, the quartet sounded more like a trio centered around the cellist’s continuous expressive and steadfast touch, always dead on, always with an air of lightness… with the solo-violin contingent of Simin Ganatra just on temporary attachment. It was the penultimate concert of a longish European tour, perhaps that accounts for it. I heard their performance of the Mendelssohn recently at Grinnell College in Grinnell, Iowa - with a population of 10,000 a large town compared to Polling, though without the spectacular Alpine scenery. The playing was magnificent; sadly, only about 25 people were in the audience. That's a shame... but presumably those 25 people had a very enriching time. Re: Towns: I've always said: The same sized small towns are smaller in the US than Europe. 10.000 in Iowa can be quite depressing, actually... (Not that I've been to Grinnell, specifically... I'm sure it's lovely and obviously it has a college and offers chamber music. And there's bound to be that independent coffee shop downtown, next to the historic and restored cinema.